Welcome to our From the Heart Stamps August blog hop! 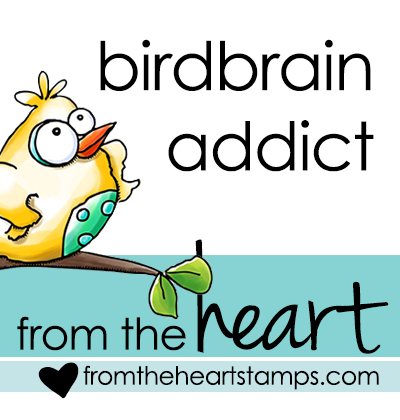 If you have arrived from KELLY’S BLOG, you are in the right place, if not why don’t you start on the From the Heart Stamps Blog, so you don’t miss anything. Today’s theme is USE YOUR STASH – We are digging into drawers and pulling out papers, and embellishments, and such. Today I went with an image I colored in December and never put onto a card. Since Snowman Greeting has been in my stash just waiting to be used, and our theme was to “Use Your Stash”, now is as good a time as any right?? I also found a card base and black background waiting in my bin so… I went with it. I dug into my embellishments and looked for “snow stuff” and found some snowflake sequins that I bought last summer to make shaker cards (never happened but maybe this Christmas I will get to it :)) add some clear crystals that I have had forever and that finished off my card. Other: Basic Backdrop Dies (AJVD), Snowflake Sequins and Crystals. Thanks for hopping with us today. The hop will end on Sunday Aug 7th at 6 am EST. 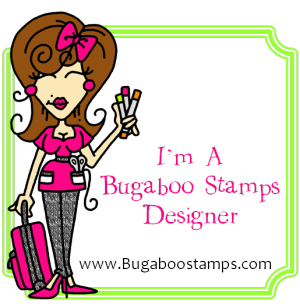 Winners will be posted on the From the Heart Stamps Blog on Wednesday Aug 10th. Now head over to MICHELLE’S BLOG and see what inspiration she has for you. Have fun and have a wonderful week!! Lovey our “snow stuff”. Works well with this sweet image. Happy Hop. An awesome winter card with that lovely snowman. Like the combination of colours you have used. Great christmas card. I have some of those little snowflakes, somewhere, I can’t seem to find them. I cleaned up my craft room and some things are now missing. I put them right where I could find them. LOL! Your choice of background papers compliment this sweet snowman image perfectly Lyn! Super card! Great use of your stash. Love the snowman image. You are one up on me getting Christmas cards done. This is so pretty Lyn. I love the snowflake sequins and the pretty papers you’ve paired with him. Great way to use your stash here, Lyn! Those snowflake accents with the gems in the center are lovely! And those digi papers are so pretty! Very cute image and card.as well as a perfect choice of designer paper to go with image. Gorgeous card. I am so not ready for Christmas yet, but this has inspired me to get busy making holiday cards. Great card with a beautiful layout and gorgeous background papers. Love how you’ve coloured and used your snowman. Such a perfect match with your background papers. Aah what cutie must have look at my Christmas images and fabulous papers. Beautiful design. I love your stash items. Sometimes I think I’d like to trade stash with someone. Then it would be all new again. LOL! Awesome card! 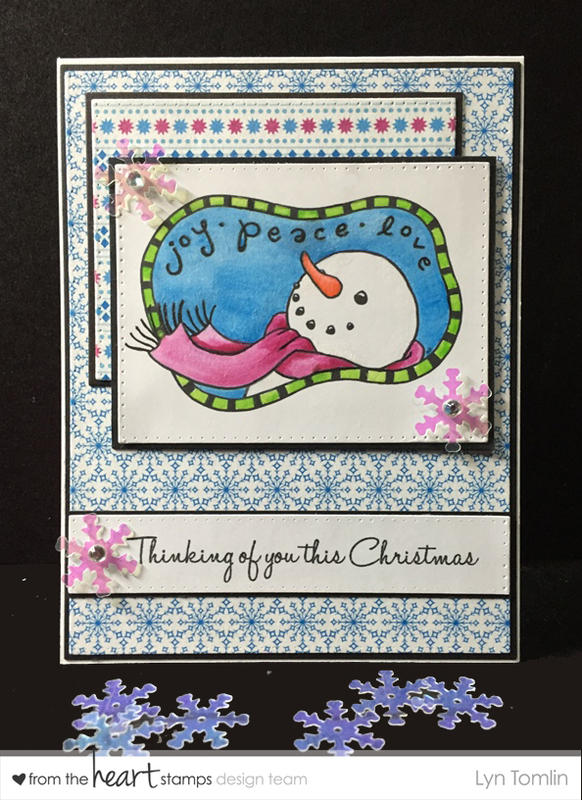 Love this snowman and the colors of the card! Background paper is awesome! Oh I have some colored ones in my stash too. Good use of the image! Great job. I can see what you are preparing for. What a cute Christmas Card! 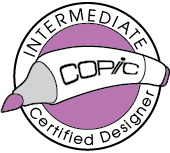 I simply love it…and it reminds me I need to get started on mine as well!! Love the snowflakes, so perfect for this cute. Can’t wait to see your upcoming shaker. I bought some “snowflakes” after Christmas for a margin (partly why I have so much stash), we’ll see if they get used…Love your card! What a sweet Christmas card and a great way to use some of your snowflake sequins! For me, it’s too soon! Lovely colors and sweet design, Lyn. I did giggle at ‘snow stuff’, because I think we can all go mooching through our stash to find the perfect embellies eh? Lovely winter card, Lyn. I also have those snowflakes in my stash **lol**but no colored images because I color always when my layout and DP are fixed. And not the other way around. It is very difficult for me to find the matching DP for a colored image. Don´t know why. Lovely card, isn’t that great when it all comes together from our stash! Such a sweet card!! Love how everyone is using their stash! Oh, winter is coming! I love this image and you did a great job with color combo. Gorgeous card Lyn! The paper goes perfect with your image! What a cute image! Great stash items too! I like those snowflakes! Adorable card! It’s nice to know that I’m not the only one who colors up images and then doesn’t remember to use them! Good idea, and a nice card from it as well! A happy little snowman. Love how this design comes together and a good use of stash items. Hope you manage to get round to using up the rest of the snowflake sequins. Such a lovely card, great papers. What a fab winter card Lyn! I thin I have a whole bag of those pretty snowflakes somewhere as well! Beautiful, sweet card for the holidays to make me feel a little chilly during the heat wave. 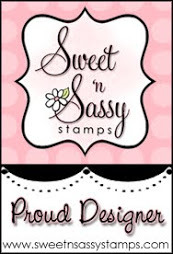 Sweet N Sassy April Release Blog Hop – Walk Humbly! Bugaboo ABC – Gift Tag Ewe!